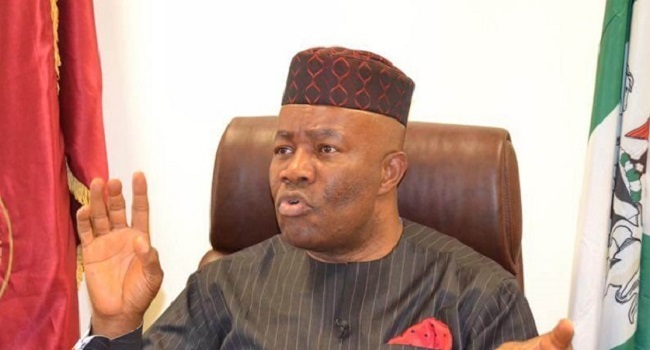 Senator Godswill Akpabio (Akwa Ibom North West) has approached the election tribunal in Uyo to begin the legal proceedings to challenge his loss at the February 23 elections. Akpabio contested on the platform of APC and was defeated by PDP candidate. 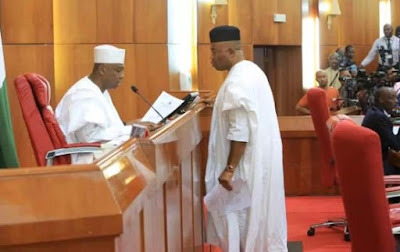 The suit, which was filed on March 16 by his lawyer, Sunday Ameh, followed Akpabio’s withdrawal of the case he earlier filed at the Federal High Court in Abuja, which sought to challenge his loss at the election. Akpabio is seeking to upturn the victory of Mr. Christopher Ekpenyong and the Peoples Democratic Party (PDP), based on perceived electoral irregularities which characterised the said election. While the election was on, the former Senate Minority Leader had besieged the office of the INEC, alleging infractions and deliberate violations of the electoral law and guidelines. He accused INEC of collaborating with some PDP chieftains to wrongfully declare Ekpeyong and his party winner of the poll, having scored 118,215 as against Akpabio’s 83,158. However, Ameh said the result sheets from Akwa Ibom INEC office showed different figures that had Akpabio securing 138,256 votes as against Ekpeyong’s 123,843. Akpabio’s lawyer said his client is dissatisfied with the conduct and outcome of the election.